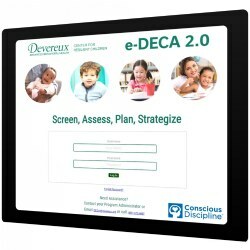 This is the annual license fee for use of the e-DECA Assessment & Planning System (or the Conscious Discipline e-DECA System). 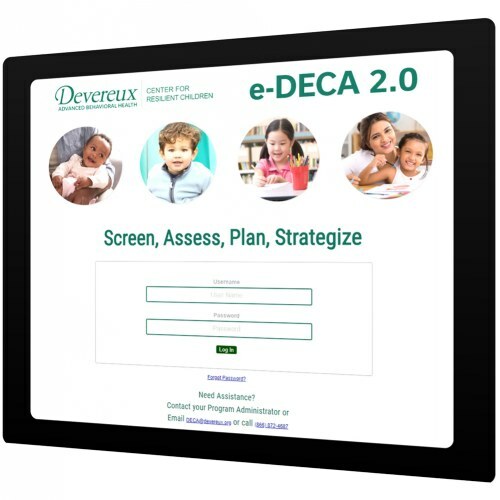 E-DECA is the web-based application in which the Devereux Early Childhood Assessments (DECA) can be entered ONLINE by both teachers and parents. 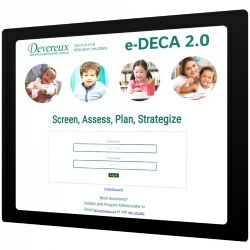 The e-DECA completes all scoring, generates reports, provides strategies for both school and home settings, and stores your data in a secure database. Utilizing the e-DECA will promote resilience and social and emotional health in young children and the adults who care for them! Please note that this license is only part of what is required to use the e-DECA. If you’re just starting out, you will also need to purchase e-DECA ratings and there are multiple options available to you. Click HERE to view a Purchasing Guide with details on those options, or view the video below on how to purchase the e-DECA! For more information about the e-DECA's new research-based strategies, watch the video below.